'The Night Mechanics' is a tale where water is no longer free. This is the future. "If you don’t let us dream… we won’t let you dream.’ The world has lost control of fresh water. A fluke of nature puts reluctant Hine on a collision course with the corporate monster that is ’The Water Company." Presented with support by WAITĪ Productions. 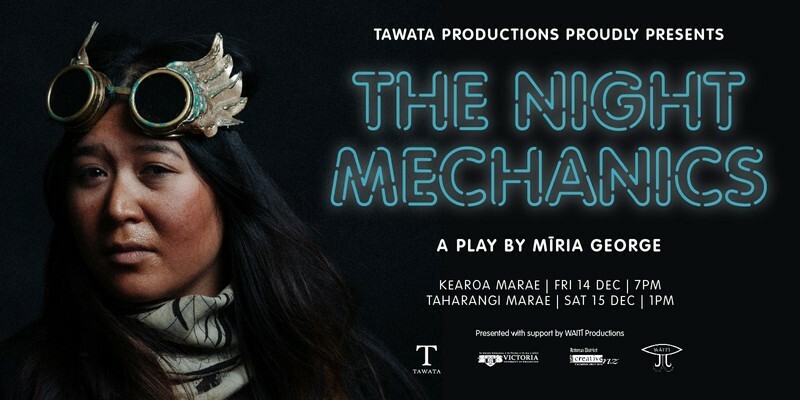 'The Night Mechanics' is the vital play by Mīria George + features Sarita Keo Kossamak So, Amanda Noblett, Raai Badeeu + Taungaroa Emile. Sound Design by Karnan Saba + Costume Design by Sopheak Seng + Prop Design by Tony De Goldi. 'The Night Mechanics' is produced by Tawata Productions.